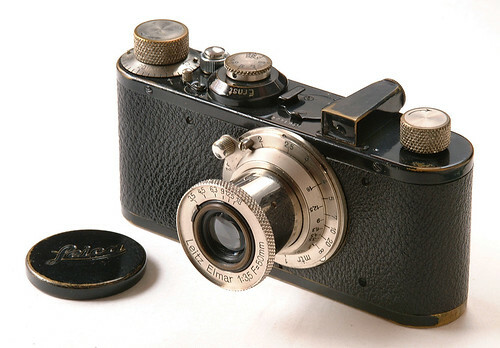 The Leica I (C) was made by Leitz in 1930 after the initial Leica I (A), to which it added lens interchangeability. 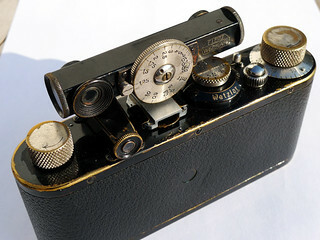 The early cameras had a varying film to flange distance, and needed the lenses to be individually matched to the body. Those lenses were engraved on the focus collar with a serial number related to that body. The later cameras (from 1931) had a "standardized" lens mount, allowing the attachment of any lens on any camera body. They have an O engraved on the flange. This 39mm screw mount was subsequently used on many other camera models. The interchangeable lenses first available were 35mm, 50mm and 135mm. Later (1931-32) came a 9cm f/4 Elmar, a 10.5cm f/6.3 Elmar and an ultra-fast 7.3cm f/1.9 Hektor. Some of these were made in "standardized" mount. The Leica C was replaced by the Leica Standard (or Leica E) and production ended in 1933. Serial number range 37,280 to 99,755. All were black enamel finish with nickel fittings, total production just over 10,000 units. The Leica I(C) could be upgraded by the factory to Leica II specifications. that has a smaller diameter distance scale flange. ↑ P-H van Hasbroeck, The Leica, (Sotheby 1983; ISBN 0-85667-171-1) Page 61. ↑ van Hasbroeck, Page 63. This page was last edited on 4 April 2019, at 03:19.